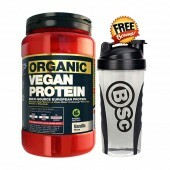 BSC Organic Vegan Protein 1kg - 40 Serves One of the big players in the supplement Market, BSC, h..
Nitrovol Lean Muscle By BSc Body Science Body Science have done it again with their all new Nitro..
BSC WPI - Bodyscience Whey Protein Isolate 3kg Bsc Body Science Athlete Series Wpi Whey Protein i.. 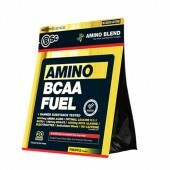 Essential Amino Bcaa Fuel By Body Science (BSC) BSc Body Science Essential Amino Bcaa Fuel. Am..
It’s hard to know just how many athletes there are in Australia. The number of professional athletes registered in the National Athletic Association is around 35,000, but that doesn’t account for all the athletes competing on non-professional levels in Australia. And let’s face it, not everyone can get into the Olympics. But anyone can take their chosen sport seriously – and most Australians do. And whatever role you play in Australia’s massive sports community there’s one thing we all have in common: the need to know we can trust our foods and food supplements - that the very elements we rely upon to boost our skills do not contain any chemical or ingredient that could potentially jeopardise our ability to compete. For most of us, Clean Sports is not just a meme that looks good in a Tweet, but a mandate which must be met because the consequence is sitting on the sidelines. Informed Sports takes the guesswork out of wondering if the bodybuilding supplement you’re looking at follows this mandate or not. Informed Sports does the research and product testing so you can use your supplement with confidance, and most importantly - stay in the game. c. not contain any substances which would damage your reputation as a clean athlete.. Informed Sports can’t guarantee you’ll build all the muscle you want or lose all the weight you need by using a particular bodybuilding supplement, but it can put your mind at ease by telling you exactly what is – and isn’t – in the product itself. Informed Sports tests each product under its purview to safeguard against cross-contamination so you can use the supplement with confidence. Informed Sports also guarantees each of the products they back contains absolutely no artificial flavours, colours or sweeteners, (especially no Aspartame). So when you expect the best, look for the Informed Sports seal of approval. While there are hundreds of brand names vying for your dollar, there are not as many companies that actually manufacture or package those products. Cross Contamination occurs when a product containing steroids is packaged first – and then followed by your brand and traces of the first product are still in the machinery – and get mixed in with your bodybuilding supplement. The traces would not be enough to prove troublesome to the average person using the supplement – but for a professional athlete or anyone entering a competition, this can spell disaster. So while your favourite brand of bodybuilding supplement is created by a trusted company, it may become the victim of cross contamination at the point of packaging. Informed Sports literally does the research for you. Rigorous product testing by Informed Sports tells you this bodybuilding supplement has been found clean and reliable. Look for the Informed Sports seal of approval to ensure you’re bodybuilding supplement won’t let you down. HYDROXYBURN ELITE PROTEIN – combines a full amino acid compliment with a high protein, low fat formula to create a highly effective fat-burner. This sophisticated combination of vitamins, minerals and amino acids work together to create an effective fat-burner that also replenishes the body with much needed nutrients. When you’re trying to let go of fat and build muscle at the same time it is critically important that the supplements you use not only nourish the body but hekp you maintain a diet that leaves you feeling satisfied and energised. That’s Hydroxyburn Elite Protein. Like the other products in the Body Science series Hydroxyburn Elite Protein is great tasting and yet contains NO artificial flavours, colours or sweeteners and specifically, no Aspartame. BSC BODY SCIENCE MICRONISED L-GLUTAMINE – L-Glutamine is the most prevalent amino acid found in muscle. When needed the body instantly converts glutamine into glucose giving the bodybuilder or athlete an extra, instant burst of energy. This is especially important for those athletes whose goals include building muscle mass because without the energy provided by additional amounts of glutamine, the body would automatically turn to its own energy supplier - the muscle. It’s rather like taking two steps forward and one step back. An additional supply of Glutamine breaks the cycle and allows you to keep the muscle mass gained during workouts instead of losing it in the process of recovery. And L-Glutamine is the best of the glutamines on offer. Why Micronised? Because this process renders the glutamine water soluable, making the end product less gritty and more appealing. Micronised L-Glutamine from Body Science is 500 grams of pure L-Glutamine, free of all artificial colours, flavours or sweeteners, specifically Aspartame. NITROVOL PRIMAL RECOVERY PROTEIN – is formulated to promote maximum recovery and repair. With a complete compliment of BCAA’s, Creatine and Glutamine, Nitrovol Primal Recovery Protein allows the bodybuilder to re-fuel, re-build and recover quicker and more completely than ever before. The 50/50 ratio of proteins to carbs assists in stimulating the recovery process while the complete amino acid profile works to keep the muscle re-fueled, even after the training session is over. Body Science has naturally sweetened this product and used only natural colours and flavours. 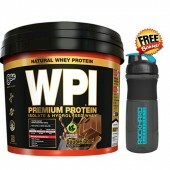 BSC WHEY PROTEIN ISOLATE – Body Science uses a cold cross flow micro process to produce their WPI. This is important to know because almost every other process involves extreme heat which denatures the natural protein rendering it less effective. This advanced processing allows the resultant high quality WPI to naturally promote weight loss, muscle growth and recovery, supports the immune system and naturally increases your energy levels and mental alertness. Whey Protein Isolate from Body Science contains no artificial sweeteners, colours or flavours, is GMO free and gluten free. Natural flavourings create a great taste and natural sweeteners makes it safe for anyone wanting to stay away from processed sugars. 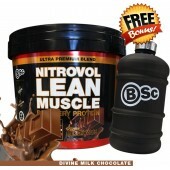 BSC NITROBULK MUSCLE – This formula from Body Science contains high quality carbohydrates, an anti-catabolic protein blend and glutamine, all coming together to create a massive bulking protein powder that does the job in one 60g serve instead of double, triple or even quadruple amounts like most other bulking powders. Nitrobulk Muscle from Body science is most effective taken directly following your workout, when the specially formulated combination of amino acids, proteins and carbs can get straight to work preserving all your muscle gains, repairing tissue, bolstering your immune system and warding off infections that typically attack hard-working athletes. Nitrobulk Muscle only contains natural sweeteners, flavours and colours, adding to the quality and producing an all-natural great taste. ESSENTIAL AMINO BCAA FUEL – Branch Chain Amino Acids are the key elements in increasing strength, muscle recovery and repair after extreme training sessions. It’s no secret that in order to get the big gains, athletes must first undergo an arduous physical regime that results in physical disrepair. (Got to break it down before you can build it back up again.) Loss of strength creates early fatique which can spell out the end of your session. Body Science has put together this particular ratio of BCAAs to combat that round-robin effect and let you get the most from your workout by maximising your recovery with minimal loss of energy. Essential Amino BCAA Fuel is only naturally sweetened and contains no artificial coulours or flavours. BSC MICRONISED CREATINE MONOHYDRATE – Creatine is a product produced naturally in the body, but studies have shown that when also taken orally, can dramatically increase the bodies potential to increase body strength and muscle mass while training. Among all the other Creatine supplements currently on the market, Body Science has produced the cleanest formula for producing creatine that is free from impurities (as in unwanted amounts of sodium, magnesium, potassium and phosphate) and maintains a 99.9% pure Creatine product ratio. Creatine plays a vital role in keeping the bodies energy supply up while enduring strenuous workouts and rigorous training. It is essential to keeping you in the game. Why micronized? Micronised means the body can more easily digest and absorb the supplement to it works faster and more efficiently. It otherwise has no effect on the creatine itself. Body Science naturally sweetens this product, uses no artificial flavours or colours and yet produces a great tasting supplement.